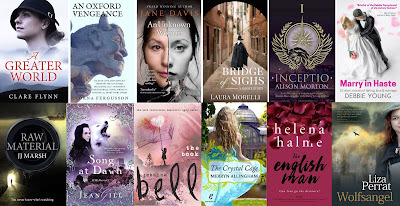 Twelve smart women have teamed up to give intelligent readers the choice of a dozen terrific books. Absolutely FREE! 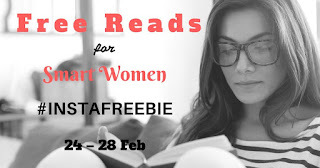 Free Reads for Smart Women. How do you like your fiction? Dramatic, thought-provoking, beautiful, award-winning, believable, imaginative, poignant, heart-racing, romantic, page-turning and courageous? Take your pick of any or all of these exceptional reads – from 24-28 February – and discover your next favourite author. One weekend. Twelve worlds to discover. Check out the video and go exploring. 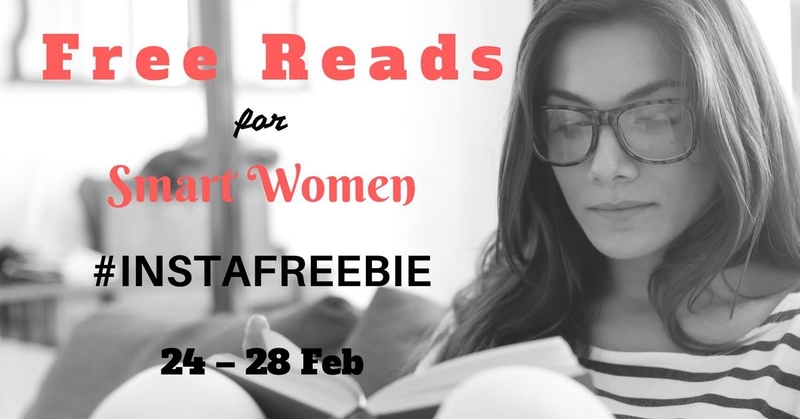 Free Reads for Smart Women. From 24-28 February only. 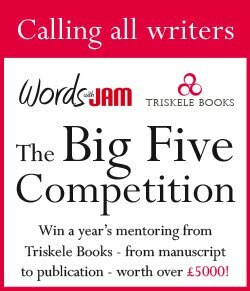 In November last year, we announced the winner of our Big 5 Competition, chosen from a shortlist by judge Sheila Bugler. Sophie Wellstood’s entry, The Sky is a Blue Bowl, took the first prize - a year-long mentorship by Triskele Books. That was three months ago. What’s happened since? Stage One: Sophie made the final edits to her book and sent it to us for editorial feedback. 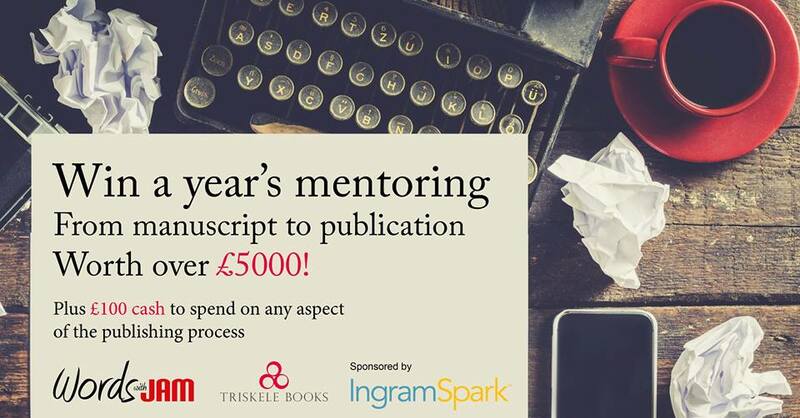 Stage Two: Catriona Troth, a professional editor, went through the manuscript with both a critical and appreciative eye, in order to give detailed feedback. 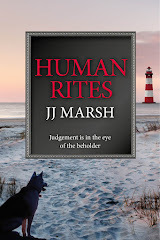 As a second pair of eyes, JJ Marsh also read the book and offered overall notes. Stage Three: We compared our reactions and responded to Sophie. Like everyone who read Sophie's opening chapter, I fell in love with Edith and wanted to curl up on a grassy hillside with her and share a glass of cider. I loved the evocation of the New Zealand landscape, and gentle rhythms of the honey shed. I did however have a few issues to do with the big cast of characters, and also with the book's structure, especially towards the end. There were some characters I felt were insufficiently grounded before we moved on to meet the next, which allowed them to become jumbled up and hard to tell apart. Others slipped at times into stereotype. And Wyn herself (the book's narrator) could come across as immature and sometimes hard to sympathise with. The pacing of the novel was a little off - moving almost sleepily at times and then suddenly cramming events together in a way that was exhausting to read. When what had felt to me like the book's main thread came to an end - in a deeply satisfying and genuinely moving conclusion - the book carried on, leaving me with a slightly confused sense of what it was really about. None of these felt to me like insurmountable obstacles to what could be a really excellent book. I provided Sophie with a four page report explaining my thoughts, plus a set of line edits on the manuscript - lit blue touch paper and stood well back. Stage Four: Sophie got to work as a result of our opinions. It’s been a fairly intense few weeks. Whilst the MS was sitting with Catriona and Jill, I worked on the second novel and various short stories, but kept fiddling with this one. I’d subbed it to a number of agents who were mostly very complimentary but they weren’t in love with it enough to take it on. I knew there were aspects of the plot, the structure and some of the characters that needed overhauling – a couple of plot developments in particular really nagged at me - but I just didn’t have the necessary insight or confidence – or motivation - to know what to change, or how. At times I felt very deflated and tired with the whole thing. Receiving Catriona and Jill’s feedback and editorial suggestions was exactly the kick up the backside I needed. 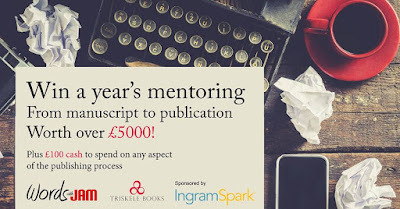 Two pairs of fresh, professional, experienced authorial eyes and insight; two unbiased brains, two experienced readers. For free. It’s reassuring to know what works; that scenes and voice are strong and affecting and believable - but by far the most valuable editorial notes have been of the sleeves-rolled-up-don’t-spare-my-feelings nature. I asked for tough, critical notes, and got them. Catriona has nailed the exact weaknesses in character and plot that were nagging at me, and it’s genuinely exciting to go back and re-work these people, what they get up to and the consequences of their actions. There has been one major, major change (I won’t say what here) which has impacted every aspect of the story – it was something my instincts were telling me to do long before this competition, and it feels right. The knock-on effect of course is that threads become unravelled, some actions are inappropriate or irrelevant, something someone does at 10k needs resolving at 60k, etc etc, but having Catriona’s all-seeing editorial eye – I’ve started thinking of her as my virtual sat nav – means that I can trust her to see where I’ve (literally) lost the plot. There are some recommendations that I need more time to digest – suggestions around the structure towards the end of the story, how it reaches its climax / conclusion; how it all comes together. We’ve discussed how the beginning and ending of the story are really quite different in terms of pace, and how I might change the order of events – this is something I’m still thinking about. I don’t necessarily disagree – I’m just processing the amount of work it will involve! I couldn’t be more grateful for this support, though. The story is growing a tougher spine, and (Catriona has picked me up on my liberal sprinklings of mixed metaphors) a new pair of wings. And so have I. Thank you! 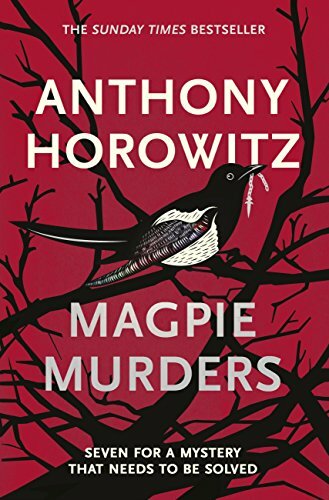 This month on Book Club, we discuss Magpie Murders by Anthony Horowitz. 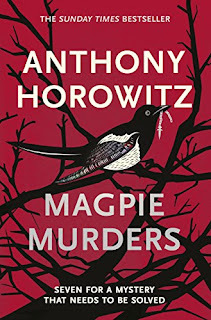 Anthony Horowitz is the author of the number one bestselling Alex Rider books and The Power of Five series. He has enjoyed huge success as a writer for both children and adults, most recently with the latest adventure in the Alex Rider series, Russian Roulette and the highly acclaimed Sherlock Holmes novels, The House of Silk and Moriarty. Anthony was also chosen by the Ian Fleming estate to write the new James Bond novel which will be published next year. In 2014 he was awarded an OBE for Services to Literature. He has also created and written many major television series, including Injustice, Collision and the award-winning Foyle’s War. For crime fictions fans, this book is probably the ultimate red herring. Did you come to this book with any pre-conceptions? (GH) None at all. I actually listened to the audible version of the book, attracted both by my appreciation of the author (especially his Sherlock Holmes books) and the narrator, Samantha Bond. I had no idea that the main context of the plot was a story inside a story. But I totally appreciated the originality of the storyline. (JJ) Apart from admiring everything Horowitz does, none. The book took me by surprise and carried me along in both its guises. I too listened to it first but then read it in paperback form. I needed to flip back and forth to remind myself of key clues. The central device is quite a literary sleight of hand, but it's done beautifully here, so most readers will go with the flow. There was a feeling when reading the novel that the reader themselves was being placed right in the thick of things and used as a character in their own right. Did that feeling come across to you too? (GH) I did think as I was reading the book that the reader would have far more appreciation of the work if they were crime fiction fans, schooled in the likes of Dorothy L Sayers and Agatha Christie. And as most of us avid crime fans started life in that era of crime fiction, it felt as if we were being included in an in-crowd with lots of nods and winks and Masonic type gestures to make us feel included. However, when it turned out that Alan Conway was actually putting two fingers up to the world that had made him a bestseller, I did feel rather defensive. So, was I included in the story, yes, clearly I had been sucked in! (JJ) Yes, the reader is very much a character but not necessarily one I identified with. I felt a little as if this was the publishing world term, 'The Reader', which actually means very little. However, as Gilly says, there are all the allusions to classic crime fiction which make readers of crime feel part of the story. The feeling alternates between being included as someone in-the-know and manipulated as the author(s) lead you up the garden path. All these are elements of classic crime. What do you think are the messages Horowitz may be giving here about authors and publishers? (GH) I think there's a cross-section of lives on display here, and some of them may be modelled on people the author has met through his career. We see an editor who is committed to her work and her authors, yet feels somewhat trapped by her position. We have an author who feels his real genius is hidden by the restrictions of a publishing world who don't recognise the writer he truly wants to be, and he also feels trapped by the character and books he created. Does he forego fame and millions to write the book he truly wants to write? Although he chose the fame, he hates himself for it and his decision to turn his life around leads to his death. And we have the jealousy and greed inherent in many professions. I'm not sure there are any hidden messages from he author, Horowitz is clearly one talent who is not restricted in his writing, but I am betting one or more of the characters are based on real life. (JJ) As in the classic central section, Horowitz plays with tropes. In our frame section of the story, those tropes are still there, but updated. He touches on the litfic versus genre fiction debate, takes on populism and snobbery, covers the publishing world with a layer of dust and at the same time, highlights its fragility as artistic endeavour in a commercial world. My favourite mirror trick was looking at the triggers of Conway's imagination. The author's own village, family, neighbours are easily traceable sources of factors in his book. Or are they? This is another favourite reader hobby, to assess how much the writer's real life informs her/his fiction. Another sly smile at the relationship between fact, fiction and interpretation. So, Atticus Pund and his country house murder. It takes us back to leafy post-war times of Agatha Christie ... looking at the author's interpretation of Alan Conway as a writer - do you think it worked? (GH) Well, I was just as frustrated as Susan Ryeland to discover the end of the novel was missing so I must have been suitably entertained! 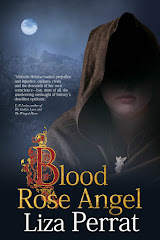 I thought the story and characters fitted the period and genre. I suppose nowadays we would tag it as cosy crime. However, even before the denouement of the novel, I did find myself inwardly criticising the writing of Alan Conway. Now, I look back and realise that's exactly what Horowitz intended. He wanted the faux pas in there, the info dumps, the clichés, the pace issues. Conway wanted to come across as all of those things, because he resented being forced to write that way in the first place. And for Horowitz, I can only imagine the level of skill required to deliberately write badly! (JJ) The striking thing about how the author takes on these two authorial voices is the ability to blend the mechanics of plot with character and setting. The period piece delighted me in so many ways: trains, conversations, details, and slowed-down communication. There is also the innate prejudice of the British towards this odd little foreigner, who suffered his own private battle during the war. The contrasts and similarities with characters such as Poirot are handled with a deft touch. Yet the painting-by-numbers feel of classic crime is slow in the extreme, yet the reader (The Reader) keeps turning pages because of the characters. I mentioned the feeling of being part of an in-crowd of crime fiction fans, did you pick up any of the clues dotted throughout the Atticus Punt novel on first read through? (JJ) To an extent while listening, but far more so when reading on paper. It's almost as if there's a third detective in this story - the reader, spotting clues and feeling smug at recognising an allusion to those that went before. This is actively encouraged by regular summaries and reminders by Susan's character in particular. It also echoes Alan's own obsession with acrostics and anagrams and clues in plain sight, something I delight in, being a bit of a word-nerd. What were your feelings about the real-life murder of Alan Conway and the denouement of the novel? (GH) I enjoyed it immensely. I though Susan Ryeland held her own as lead character and amateur investigator. It almost felt like two stories within one book, but the styles were so different that even though there were echoes in the plot, there was no confusion. 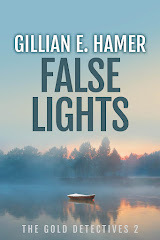 The ending was cleverly plotted and believable, and I am glad that after Susan went through to discover the truth, she came through to tell the tale. (JJ) While I relished the framing device of the contemporary story, I actually preferred the classic village murder story overall. The publishing world and authorial dealing with agents and editors feels a bit too much like a busman's holiday. Yet I can see this is deliberate. Horowitz reminds us all along that we are readers, and getting carried away in a story is to lose one's critical faculties. Getting swept up in the adventure requires resistance and analysis and thought. It's got some of the old Brechtian insistence on distance - a story is a story. Never forget you are reading a crime novel. Horowitz has a talent for creating characters who although are real enough to step out of the page, are also often incredibly unlikable. It's a difficult task to get a reader to connect with that type of character, how do you think he achieves this? (GH) I think believability is key. I am a writer and I've known writers like Alan Conway in real life. Frustrated by their own brilliance. And the in-joke is that Horowitz has doubtless known them too. So, although you don't 'care' about him, you care what happens and need to know how his story ends whether good or bad. Also, I think having secondary characters who have flaws but can create empathy in the reader is another reason we stick with the story and have to turn the page. (JJ) His skill here is by breaking all kinds of writing 'rules'. He switches point-of-view with abandon in the classic story, turning the reader into viewer. We're in everyone's heads, privy to all their thoughts and interpretations, watching a theatre script, not reading a novel. Yet in the framing story, he allows us the smallest letterbox of perception through Susan's own interpretation. Susan dislikes Alan, thus so do we. She likes other characters (no spoilers) and therefore some revelations come as a shock to both of us. Finally, how did you feel when you turned the final page? (GH) I think I was tempted to raise a glass and congratulate the author on what was a stunning piece of writing. The talent needed to make something so layered feel to the reader amateurish at times, and yet complex at the same time, is the sign of a master craftsman. The distinct tones, voices and styles he achieves within one novel is amazing. Hats off to Mr Horowitz. And I'm also quite sad to see the end of Atticus Pund when I'd only just got to know him. Highly recommended. (JJ) Entertained. Impressed. Amused. Sorry, as Gilly says, to say goodbye to certain characters. It's a very clever, sly, witty homage to those who went before. Not only that, but something every crime writer should read and understand. Magpie Murders is a work of craft, to be held up for every apprentice. I will read it again. Character growth is one of the most engaging, human aspects of stories. Natural disasters can occur, accidents can happen, people can die, but it's the way characters react to disasters, the repercussions and reaction to accidents, and the ripple effect of death to those left behind that really make stories connect with readers. The title Hero's Journey and Heroine's Journey are given to the journey characters go on during a story. They are about the change and internal growth within characters that happens as stories progress. This can be over a single novel, or even a series. The main hero or heroine is the protagonist, but there can be others who go on smaller journeys. The titles sound male/female, and indeed they originated based on stereotypical journeys, but a female character might go on a Hero's Journey, and vice versa. It's simply the type of journey a given character might go on. The Hero's Journey is an outward journey, a call to adventure. The hero might feel an injustice, or something has been taken, and sets off either to retrieve what is lost, or find answers. Gladiator and The Hunger Games are great examples of this. The Heroine's Journey is an inward journey, an awakening. She is perhaps disillusioned, feels something is missing, is unhappy with her life, and has a realisation. The term Hero's Journey was originally coined by Joseph Campbell, author of Hero with a Thousand Faces. He also controversially claimed there was no need for a Heroine's Journey, because the Heroine was the home the Hero returned to. But many argue that the difference is that of an inward versus external journey, physical versus emotional, or plot versus character driven narrative. 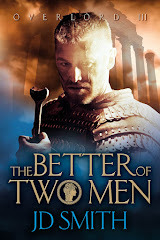 ORDINARY WORLD: Maximus is general of the Roman army, victorious and thinking of returning home to his wife and son. CALL TO ADVENTURE: Emperor Marcus Aurelius asks him to be his heir to the Empire. REFUSAL OF THE CALL: Maximus is reluctant at first, but following the Emperor's death, is forced on a path he did not wish to take. MEETING WITH THE MENTOR: Maximus is found by a band of slaves and meets Proximo, leader of a Gladiator camp. CROSSING THE FIRST THRESHOLD: Maximus fights in the gladiator arena for the first time. TESTS, ALLIES, ENEMIES: As the story unfolds, Maximus is tested in the arena. His allies include fellow gladiators, Proximo, Lucilla, and old army friends. Commodus is the enemy. APPROACH TO THE INMOST CAVE: After his victory in the Colosseum, Commodus and his nephew enter the arena to congratulate the victors. Maximus must choose between attempting to kill Commodus now and in front of his young nephew, or wait for a better opportunity. SUPREME ORDEAL: Maximus is wounded by Commodus prior to the final showdown, and they fight to the death. REWARD (SEIZING THE SWORD): Despite being wounded fatally, Maximus frees his fellow brothers, declares the wishes of Marcus Aurelius and ensures Lucius is safe from his uncle. RESURRECTION: Maximus is reunited with his wife and child in the afterlife. RETURN WITH THE ELIXIR: Maximus dies leaving the people of Rome with hope for the future Marcus Aurelius wanted for them. HEROINE SEPARATES FROM THE FEMININE: often a mother or societally prescribed feminine role. IDENTIFICATION WITH THE MASCULINE AND GATHERING OF ALLIES: for a new way of life. This often involves choosing a path that is different than the role prescribed for him/her deciding to gear to”fight” an organization, role, or group that is limiting her, or entering some male/masculine-defined sphere. ROAD OR TRIALS AND MEETING OGRES AND DRAGONS: Heroine encounters trials and meets people who try to dissuade her from pursuing her chosen path and/or destroy her(ogres and dragons or their metaphorical counterparts). EXPERIENCING THE BOON OF SUCCESS: by overcoming the obstacles. This would typically be where the hero’s or “shero’s” (a female protagonist on a hero’s journey) tale ends. HEROINE AWAKENS TO FEELINGS OF SPIRITUAL ARIDITY / DEATH: because the new way of life is too limited. Success in this new way of life is either temporary, illusory, shallow, or requires a betrayal of self over time. INITIATION AND DESCENT TO THE GODDESS: The heroine faces a crisis of some sort in which the new way is insufficient and falls into despair. All of her “masculine” strategies have failed her. HEROINE URGENTLY YEARNS TO RECONNECT WITH THE FEMININE: but cannot go back to her initial limited state/position. HEROINE HEALS THE MOTHER/ DAUGHTER SPLIT: reclaiming some of her initial values, skills or attributes (or those of others like her) but views them from a new perspective. HEROINE HEALS THE WOUNDED MASCULINE WITHIN: Heroine makes peace with the “masculine” approach to the world as it applies to herself. HEROINE INTEGRATES THE MASCULINE AND FEMININE: to face the world or future with a new understanding of herself and the world/life. Heroine sees through binaries and can interact with a complex world that includes her but is larger than her personal lifetime or geographical/cultural milieu. Of course there are many variants, and stories involving both an external journey and an inward journey to varying degrees, and as writers we can create depth in our stories by incorporating both the Hero's Journey and the Heroine's Journey, either in one or more character.